Raymax provide comprehensive range of HDMI Cables, Convertors, Splitters, Switchers. Raymax HDMI cables are available in length from 1.5mtrs to 50mtrs, meets 1.4v & 2.0V, & offer excellent performance. Raymax HDMI accessories provides buyer a worth for their buy. RAYMAX HDMI TO VGA WITH AUDIO connects hdmi devices to vga display with audio connectivity. RAYMAX HDMI CABLE 1.5M is a high quality cable ,blister packed,with gold plated connector. RAYMAX Hdmi splitter 8 port is high quality US embedded chipset splitter. 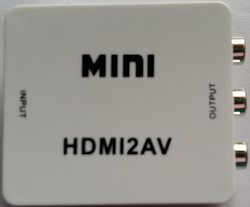 effectively distributes 1 hdmi input to 8 hdmi outputs,like led tv. RAYMAX vga to hdmi convertor is a durable high quality cable that lets user connector vga devices to Hdmi display. HIGH quality silicon image chipset. with vga cable, so no need to buy extra vga cable. 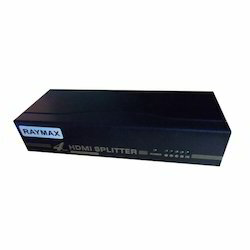 RAYMAX hdmi switcher is a high performance switcher. 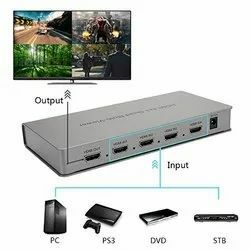 can switch 2 hdmi input to 4 hdmi outputs. equipped with auto scan function & time delay function,this switch can automatically switches from 1 input to other input in the selected time interval. Raymax Hdmi Quad Multi-Viewer is a High Performace With 4 Hd Screen Segmentation & Seamless Switching Output Switch. It Can Display 4 Hd Digital Video Signal On the Same Screen and Has a Variety of Video Segmentation,seamless Switching 4 Hd Input Signal Synchronously. 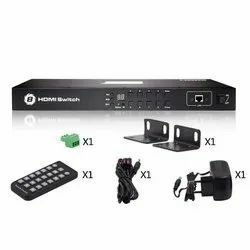 Support 4 Hdmi Signal Seamless Switching. 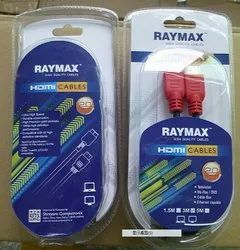 RAYMAX HDMI CABLE 10M is a high quality cable ,box packed,with gold plated connector. RAYMAX HDMI CABLE 15M is a high quality cable ,box packed,with gold plated connector. 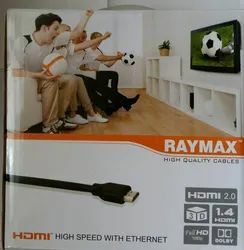 RAYMAX HDMI CABLE 20M is a high quality cable ,box packed,with gold plated connector. RAYMAX HDMI CABLE 25M is a high quality cable ,box packed,with gold plated connector. RAYMAX HDMI CABLE 50M is a high quality cable ,POLY packed,with gold plated connector. RAYMAX HDMI CABLE 2.0V 20M is a high quality cable ,blister packed,with gold plated connector. RAYMAX 2.0V HDMI CABLE 30M is a high quality fiber optic hdmi cable ,box packed,with gold plated connector. 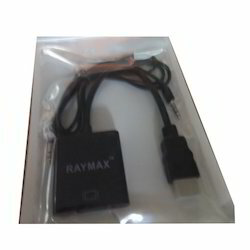 RAYMAX HDMI TO VGA CONVERTOR IS active convertor that converts hdmi to vga. 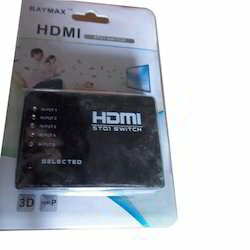 RAYMAX Hdmi switch 4 port. switches upto 4 hdmi inputs into 1 hdmi output display. The 4 ports RAYMAX HDMI switch allows up to 4 Ultra HD sources to be routed to one Ultra HD display. Support resolutions up to 4K@60Hz. Deep Color, 3DTV pass-through. Support S/PDIF and L/R audio out. And support lossless audio formats such as LPCM 7.1, Dolby TrueHD, and DTS-HD Master Audio are also supported. Support automatic input source detection, when attach new input device to the switch, the switch will switch to last plugged in source automatically. RAYMAX HDMI CABLE 30M is a high quality cable ,box packed,with gold plated connector. 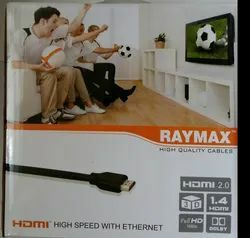 RAYMAX HDMI CABLE 40M is a high quality cable ,box packed,with gold plated connector. RAYMAX HDMI CABLE 2.0V 10M is a high quality cable ,box packed,with gold plated connector. RAYMAX HDMI WALL PLATES are available in various options & combination. 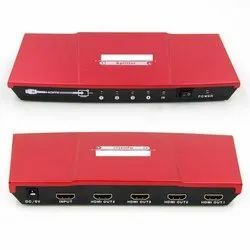 RAYMAX HDMI SWITCH 3 PORT is a compact ,non-powered switch that can switch upto 3 Hdmi inputs to 1 Hdmi output via push button switch or with remote,supplied with this unit. RAYMAX HDMI EXTENDER 150M can transmit hdmi high definition video from hdmi source to hdmi display upto 150m distance. support point to point mode. support point to multi-point mode. RAYMAX hdmi switch 8 port is high quality package which can switch upto 8 hdmi input to 1 hdmi input display. user can adjust time inerval for auto switching function,which is the usp of this item. RAYMAX HDMI CABLE 3M is a high quality cable ,blister packed,with gold plated connector. 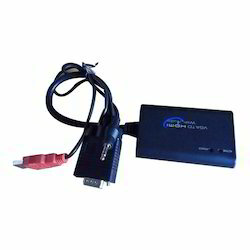 RAYMAX Hdmi to av convertor is compact size convertor that converts hdmi signal to av signal. RAYMAX 2 port hdmi splitter distributes1 hdmi input into 2 hdmi output. 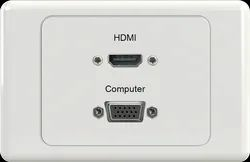 hdmi 1.4 compliant,support resolution 3840*2160@60hz. RAYMAX hdmi splitter 4 port distributes 1 hdmi input to 4 hdmi output. Hdmi 1.4 compliant,support resolution upto 3840*2160@60hz. RAYMAX 2*2 4K VIDEO WALL CONTROLLER support 1 way Hdmi or Dvi input and 4 Hdmi output. 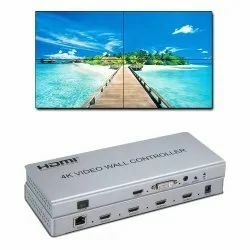 this controller supports 1 input to be distributed over 4 hdmi input led tv to form a single image screen or videowall,or can be distributed over 4 screens. 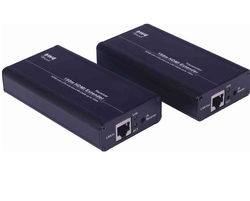 RAYMAX 200M IP Extender is based on TCP/IP Standard. it transmits HD display with the high resolution up to 200m away from Hdmi source using one cat6 cable. 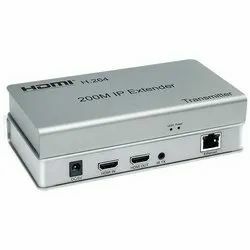 transmitter support Hdmi loop-out function. RAYMAX HDMI EXTENDER 60M can transmit hdmi high defination video from hdmi devices to hdmi display upto 60m distance. RAYMAX 60M HDMI 2.0 extender can transmit 4k high definition video fro Hdmi source to Hdmi display upto 60m distance. RAYMAX HDMI KVM EXTENDER 120M can transmit both hdmi high definition display as well as usb signals upto 120m distance simultaneously. keyboard & Mouse data transmission. RAYMAX HDMI CABLE 5M is a high quality cable ,blister packed,with gold plated connector. 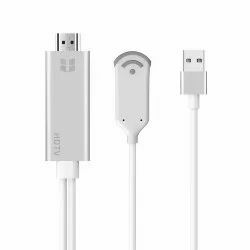 RAYMAX MiraScreen hdtv cable is a great option for users who want to transfer their mobile images,pictures,videos & internet content to tv without having to connect the tv with mobile phone. RAYMAX HDMI 5.1 AUDIO EXTRACTOR is great for audio lovers. 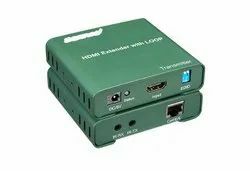 this decoder can extract audio from hdmi & can play audio through 5.1 audio system.